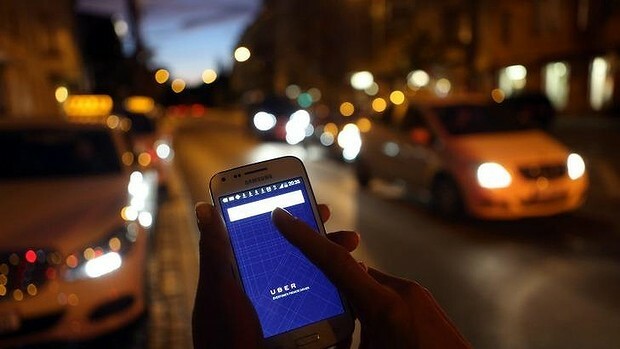 Shadow Assistant Treasurer and academic economist Andrew Leigh has accused the Australian government of blowing millions in revenue by failing to tax rideshare and homeshare businesses such as Uber and AirBnB. AirBnB and Uber are both online applications that allow normal people to share their homes (or cars, and offer lifts) in a quick, unregulated way via applications on their phones (apps). Governments all over the world have grappled with taxing the services, as most internet services offered to your door are headquartered and taxed in tax-minimised corporate environments. Like most internet services, the public love it, and it’s the regulator losing business that hates the service. Andrew Leigh has used the City of Portland, Oregon, USA to prove that Australia could tax “Mum and Dad” service providers. Fairfax Media has said AirBnB agreed to report the addresses of AirBnB homesharers to the City of Portland, thereby giving the city a basis on which to charge the operator. 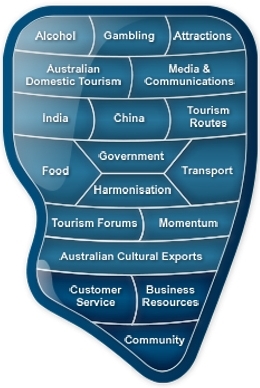 The key differentiator as far as Australian tourism is concerned though, is the well-above-average prices tourists to Australian cities suffer – prices in part inflated by significant regulation. In the city of Portland, Oregon, USA, a taxi driver pays $100 for an application for their cab to become their business, $100 for an initial permit, and $100 for a renewal. The cost of moving ‘decals or taxi plates to another vehicle’ is $150. The maximum cost of licensing is $3000 for cab companies with over 100 cars. Similarly, Australians pay 50% more for hotels across Australian cities – Sydney’s Radission is $180 per night on 1st April 2015, whilst Portland, USA’s same Radisson room is $127 per night. Portland’s transport bureau also imposes a cap of $16 on Airport>Downtown shuttle services. Sydney Airport (and NSW Government) customers pay $17 just for the train, whilst shuttle prices are uncapped. The Australian government have long given up the ghost on trying to tax such prolific internet retail services as eBay and Gumtree. As long as the taxi industry keep filling Labor and Liberal’s coffers with taxi license and pokie revenue, we’ll continue to hear this über-protectionist, public relations argument about policing the free market for years to come. Regulators need to stop online companies such as Uber and Airbnb – as well as people using their services – from dodging their tax obligations, says shadow assistant treasurer Andrew Leigh. In a speech to be delivered to the McKell Institute in Sydney on Tuesday, Mr Leigh will also call on the Abbott government to take the lead in getting global agreement on the amount of tax that would be paid by a multinational to each country in which it operates. US tech giants such as Apple and Google have used loopholes in current international tax laws and avoided paying tax on billions of dollars of sales by routing profits through tax havens such as Bermuda and low-tax jurisdictions such as Ireland. “It is neither efficient nor equitable to let revenue fall into some dead zone between countries,” Mr Leigh says. In an interview with Fairfax Media, Mr Leigh also raised concerns about the lack of regulation around the “collaborative” or “sharing economy”, which included services such as Uber and Airbnb. He said while services such as Uber and Airbnb offered lower-income Australians benefits – “[they] may not be able to afford [a] taxi home with Christmas presents but can afford an Uber X car” – these companies did not face the same tax and legal requirements that the taxi industry and hotel industry did. This was a concern, given their rapid growth. The City of Portland reached agreement with Airbnb whereby if someone rents out rooms on Airbnb, the city of Portland must know their address. It makes Portland one of few cities where short-term rentals posted on Airbnb are regulated and taxed in this way, and was a “sensible arrangement”, Mr Leigh said. He will also warn in his speech to the McKell Institute that the Abbott government’s decision to abandon Labor policies designed to stop multinationals from profit shifting will result in severe revenue loss. Mr Leigh says the Coalition has ditched $1.1 billion in measures that were aimed at tackling the problem. This had come on top of 4700 job cuts at the Tax Office over the four years to 2018. So far 3000 of those 4700 cuts have been made, which some internal ATO staff say is affecting revenue collection. “That’s fully one quarter of the agency’s people, including as many as 1000 auditors with specific expertise in complex international tax structures,'” Mr Leigh says. He says Treasurer Joe Hockey should be judged by the additional revenue his announcements deliver. “Zero new revenue equals zero new action,” Mr Leigh says. 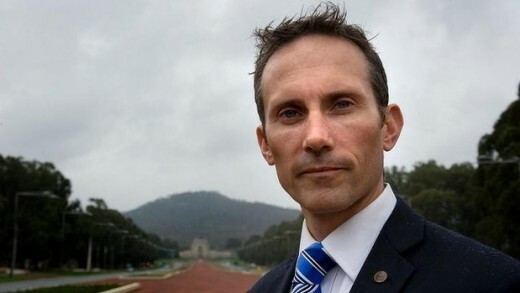 He has also cautioned the government against winding back Labor’s tax disclosure laws, which from July require the Tax Office to begin publicly publishing the amount of taxable income and tax paid by the nation’s largest public and private companies. Former assistant treasurer Arthur Sinodinos, Finance Minister Mathias Cormann and new Assistant Treasurer Josh Frydenberg have all raised concerns about the laws. There are concerns it gives away too much information about private individuals. Finance Minister Mathias Cormann told Fairfax Media in an interview in December that the government was reviewing the laws after private business owners complained they may be kidnapped and held at ransom if their tax information goes public. Mr Leigh, conversely, wants the existing tax disclosure laws to apply sooner than July, and has passed a private member’s bill asking for this. He says the government is spending too much time discrediting the Tax Justice Network report that claimed almost a third of Australia’s largest companies are paying less than 10¢ in the dollar in corporate tax and 60 per cent of the ASX 200 have declared subsidiaries in tax havens. “Whenever tax estimates are published in the public domain, the Abbott government and its backers claim they don’t capture the whole picture,” he says. Mr Leigh also took aim at the government’s decision to adopt a “common reporting standard” a year later than more than 40 other countries, including major G20 powers such as Britain and Germany. The standard, agreed to by G20 leaders in Cairns in September and again confirmed at the Brisbane summit, will involve banks and other financial institutions setting up systems that allow information to be automatically fed to government agencies. Mr Leigh said Australia was even behind Bermuda, the Cayman Islands and Jersey, which would start the process for the automatic exchange of information from next year, a year earlier than Australia. Australia has agreed to start in 2017, and have systems in place by 2018.